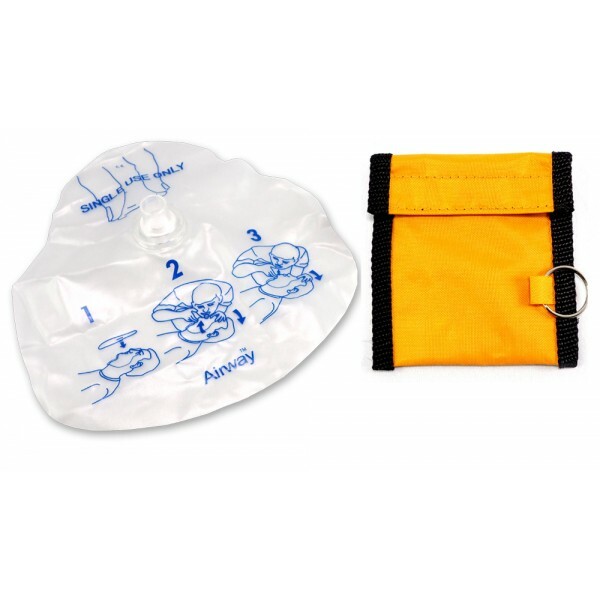 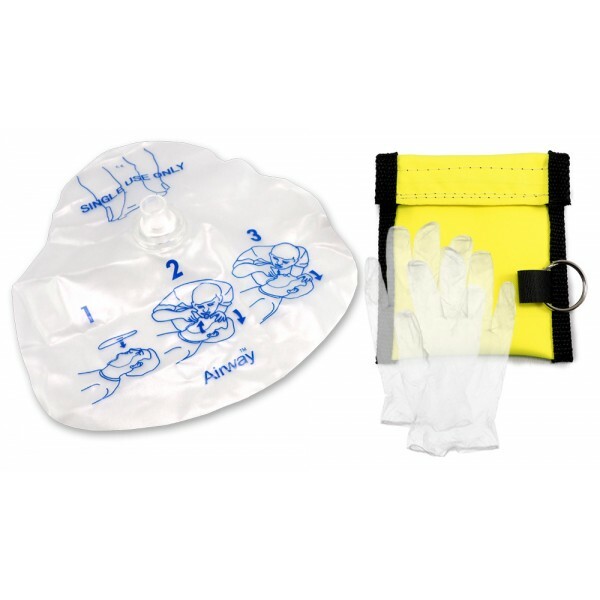 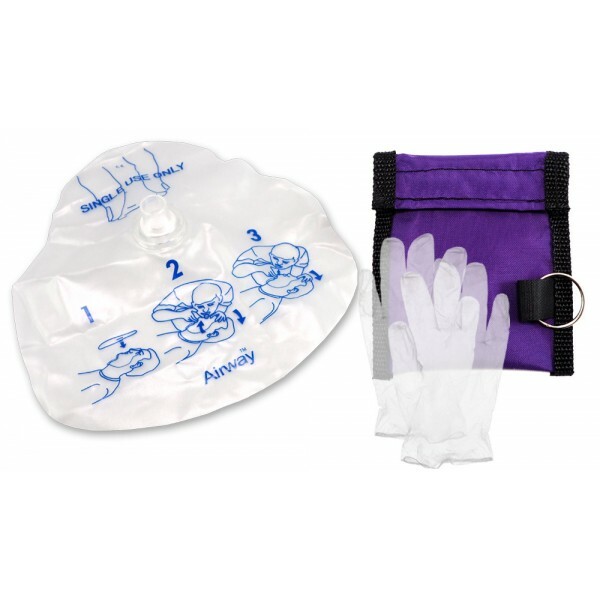 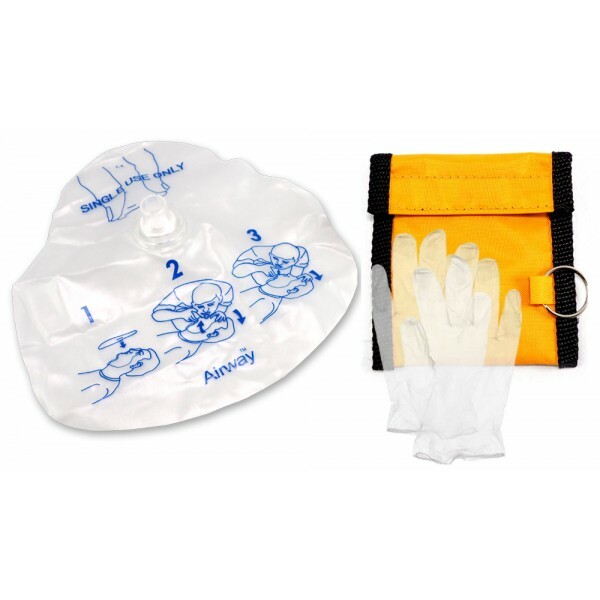 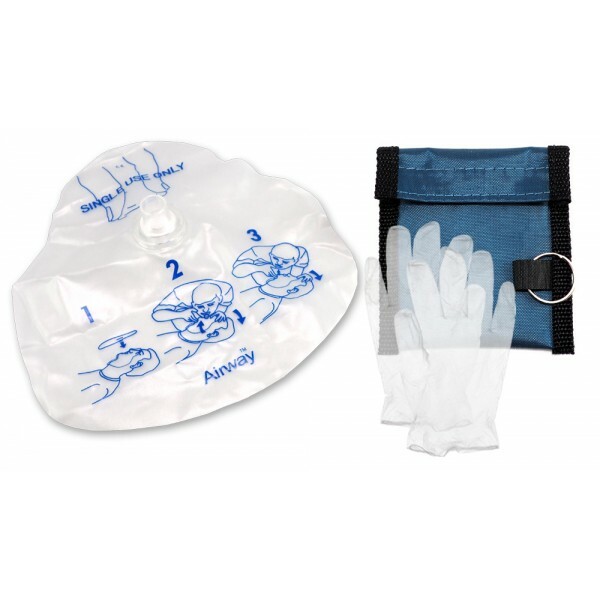 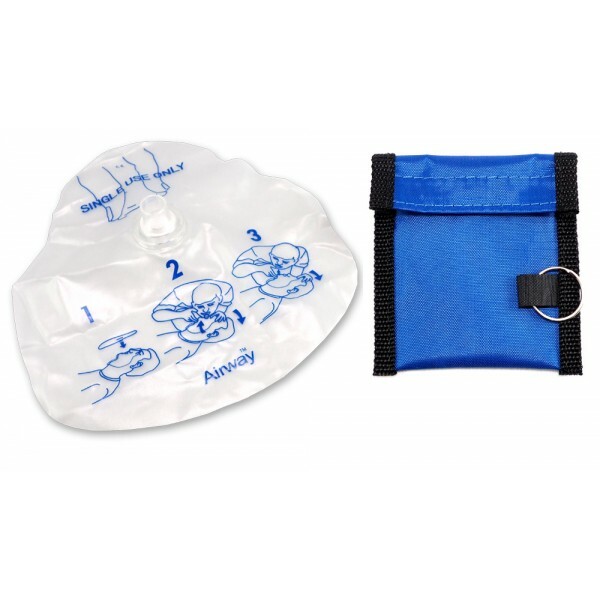 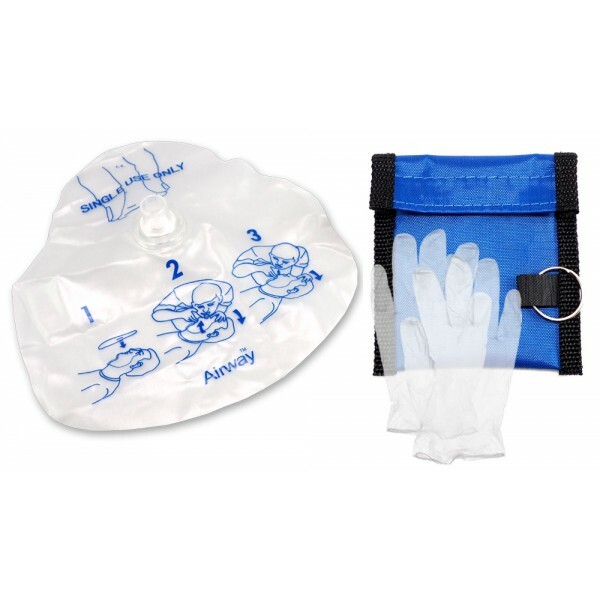 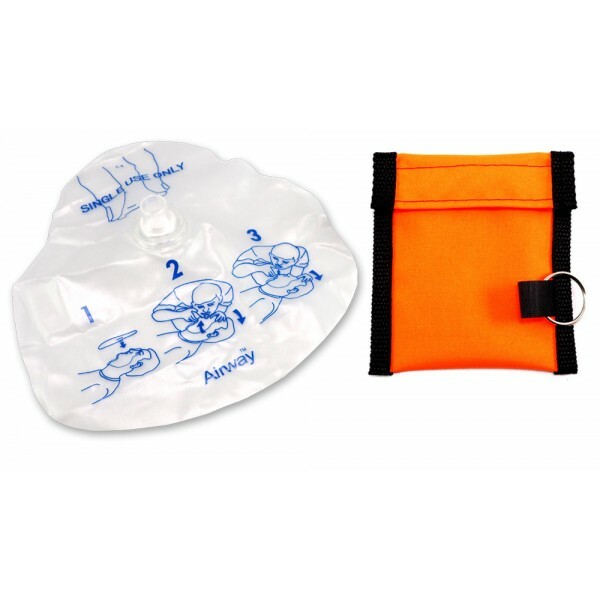 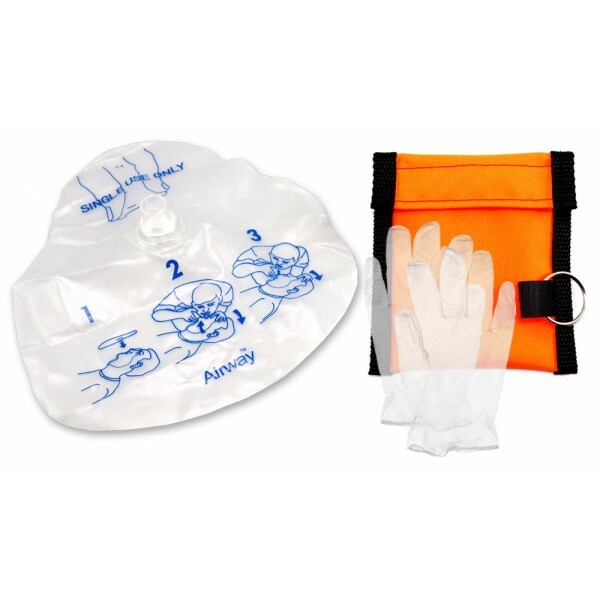 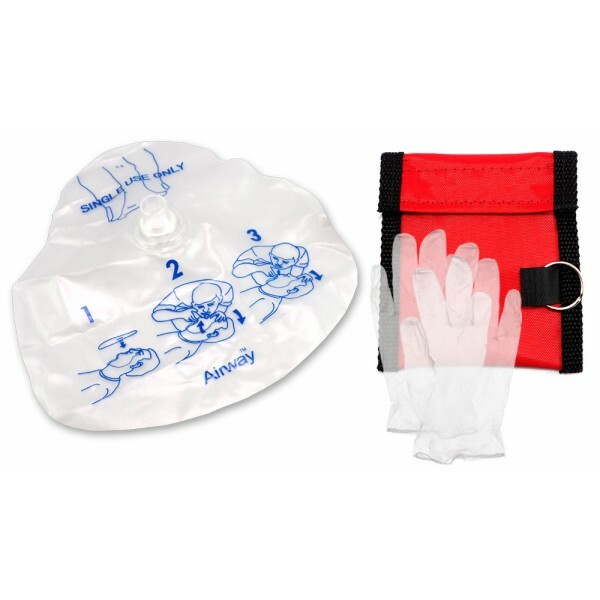 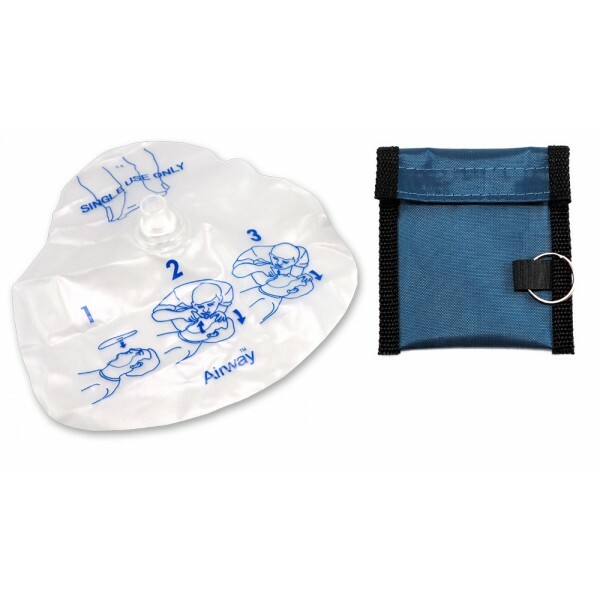 Airway® Premium CPR Shield w/ One-way Mouth Piece Valve, Filter & Keychain Pouch - CPR-Pro.com Inc. 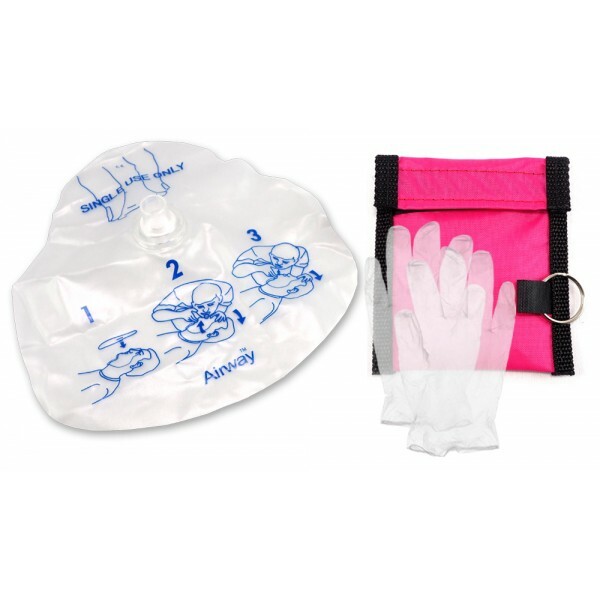 Synthetic gloves optional at an extra $0.20 per pair. 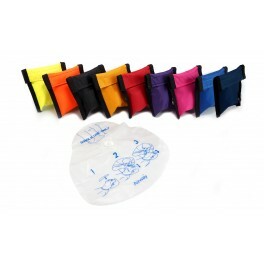 Pouch Size: 3 1/2" x 4"